I have been waiting for a manual like this for some time. It's a great tool for the up and coming new gymnastics coach as well as the experienced coach. Good skills, good illustrations and I love that my staff now have an excellent reference book with great teaching progressions. 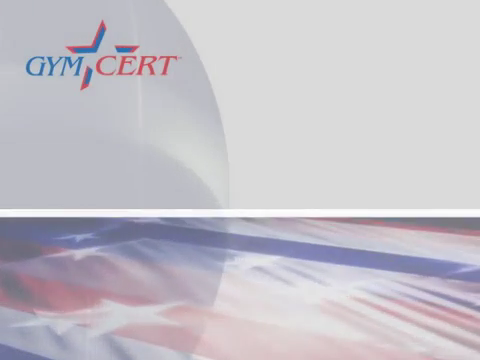 We at GYMCERT would like to thank the following supporters for their testimonials that endorse our coaching certification program, GYMCERT LMS by USACERT. Education is the foundation and key to a successful program. I give GYMCERT a perfect 10! Education is the solid foundation for Future Champions to come, and I support education at all levels! The Gymcert Program is a GREAT PROJECT, Congratulations and Good Luck! The USA Coaches Certification Manuals and Courses are full of educational tools to develop a coach/instructor with a safe and solid foundation. Whether a staff member is a coach, instructor or a director each will benefit from the technical information, spotting, conditioning, drills, organizational skills, planning and dealing with medical emergencies. It is a program that teaches AWARENESS of every aspect needed to provide a safer gymnastics training environment for our students. The GymCert 'Safety Basics' is a must-have in every gym school's library. Educating your staff and guaranteeing your gymnasts' parents the safest program possible is a key to your continued success in this business. The Cheercert manuals are full of educational and safety tools that help to develop a safe and solid foundation for Cheerleading Programs. Everyone will benefit from the safety information, spotting awareness, conditioning, and safety posters. Cheercert is a program that teaches AWARENESS of every aspect needed to provide a safer cheerleading training environment for our students. Resumes give the club owners and managers backgrounds of their potential applicants. Many resumes don't give enough information about their gymnastics background and qualifications in the sport. Those who are GYMCERT Certified give the applicant a better advantage for the job. I always look to see each applicant's level of education and if they are GYMCERT Certified. Way to go ! It is a easy as 1-2-3. One, the text in the manual gives solid training training materials for the novice coach and the manual describes each skill. Two, each skill is fully illustrated in the manual. And, three, my instructors can go online and see active video of each skill being performed along with coaching, teaching and safety tips! We are relatively a new gym, and the GymCert programs are a perfect match for our coaches. The cost is just right, there are many different levels of certifications, and manuals to go along with it all. GymCert is a great marketing tool for us. We are pleased to be able to tell our clients we have certified instructors that you can verify online. This program has been very effective to not only educate our coaches, but to motivate our coaches to keep learning more! GymCert will continue to be a requirement for all of my instructors from beginning to end! Thank You!